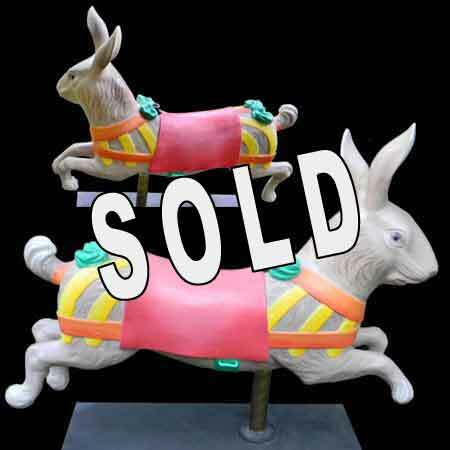 Gustav Bayol Rabbit, French, from a children's carousel. See p. 60, Fairground Art, for similar figure. Trademark Bayol bows at the neck and base of the tail. In park paint, on a tabletop stand, 33" long x 27-1/2" high on the stand.